Here’s a picture of it. You can see how it folds. Price? Can't be $300.00. Gotta be close to $1000.00. It looks really slim too. I thought it would have less bezel though. Gotta take the good with the bad, I guess. You people will never be happy. TgeekB and aximtreo like this. I seriously doubt MS will ever build another pocketable device. 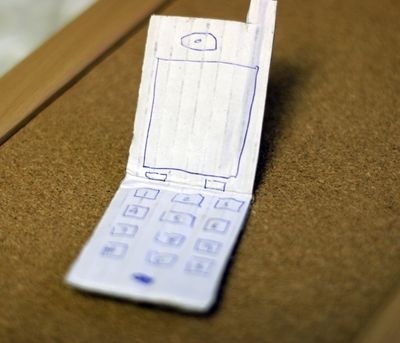 I would also venture to bet they will be too late on the foldable device despite all the patent activity. Oh it'll support a pen. It's kind of permanent though. Scienceguy Labs, aximtreo and PachecoCorporationCeo like this. Nah, I have no more use for T9 input. It’s enhanced T9. You just think what you want to type and it does it. Just send me $300 and I’ll make sure you’re first to get one. Do you take Cuban Pesos? No, but I do take Havana Club Rum. Next time I go to the Lake Effect Diner maybe I’ll holler. You don't think that fits in Shaq's pocket? Nobody ever specified who's pocket it had to fit right? It's designed to fit in Paul Bunyan's pocket. I was going to pull an Ichiro and ask who the f**k is Paul Bunyan so I Googled him. nate0 and Player Piano like this. New spokesman for Surface line of devices. Commercials to come. Plus he could use some more spotlight. Have not seen him in a while. Latest rumors on Twitter from Microsoft current and former employees suggests that the Surface Phone, which was 'folded' (pun intended!) into the broader Microsoft Andromeda initiative, has been sent back to concept with Microsoft R&D due to not advancing and innovating sufficiently enough to bringing it back to market. That was as of the Summer of 2018. Don't these testers have NDAs? This is just clickbait really. Like everyone else, I'll believe it when I see it. If you're right, kudos for you for knowing stuff that the internet doesn't and sharing it here, otherwise it's just a wind-up taking advantage of the few remaining WM fans.